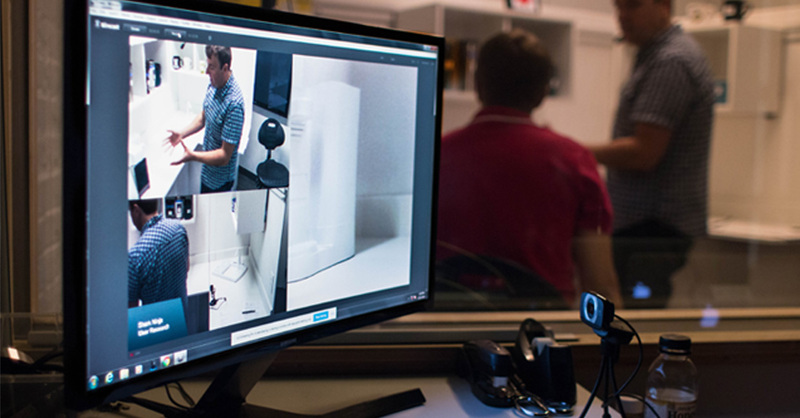 Why do we regularly transform our usability lab into a kitchen, hospital room, garage, bathroom, living room …. ? These simulated environments are valuable for when we’re product usability testing during generative to mid-stage evaluative research. This is an early phase of user research when clients are not yet ready to take products into the field, but insights can be drawn by observing how people interact with prototypes for different concepts. 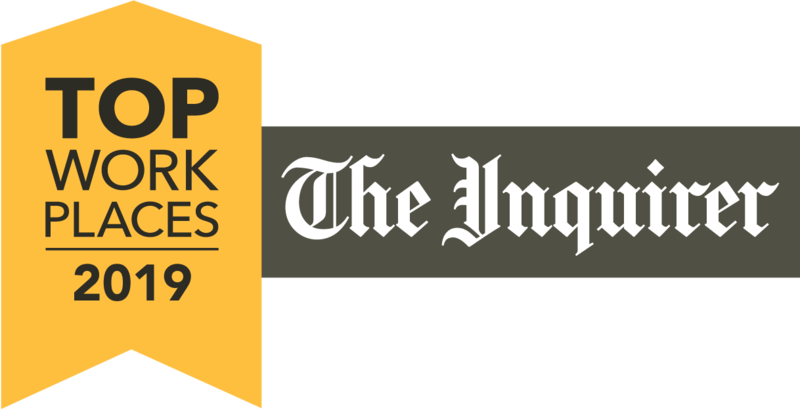 We’re big believers in testing early and often, and being able to quickly and easily set up these environments helps us execute that approach. This capability runs parallel to our ability to build low-fidelity prototypes quickly in our on-site workshop and lab — it requires many of the same skills and a similar process. Our lab set-ups get started the same way as our prototypes, with copious sketches. Then we build and refine. We have the ability to be somewhat flexible to suit the needs of a particular project and are always looking for ways to expand our capabilities and environments. Testing a product in an environment gets people in the mindset of the context of use and improves the quality of feedback they provide. Their thinking shifts more toward the way they’d be thinking in that actual environment rather than having everything seem academic and separated from the use of a product. 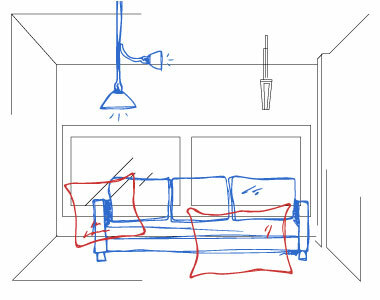 Simulated environments yield more unique responses and drive better conversations about prototypes. It’s easier to get in the mindset of being in a kitchen or bathroom when you’re in a room that looks like a kitchen or bathroom — as opposed to pretending to use a kitchen or bathroom product in the stale environment of a conference room. Simulated environments yield more unique responses and drive better conversations, which in turn elevate the insights we’re able to deliver to clients. Repeatedly, participants wouldn’t wash their hands during the study even though they said they would definitely do so in real life (which had to be categorized as an artifact — something that only happened because of the study setting); they just didn’t think they had to reenact the action using this fake sink, or they didn’t realize it was a sink (despite it being introduced in the beginning of the study). When they replaced it with a cheap plastic kids’ play sink, participants used it much more often than they did the bowl labeled “sink,” even though it wasn’t fancy and silver, or even realistic. 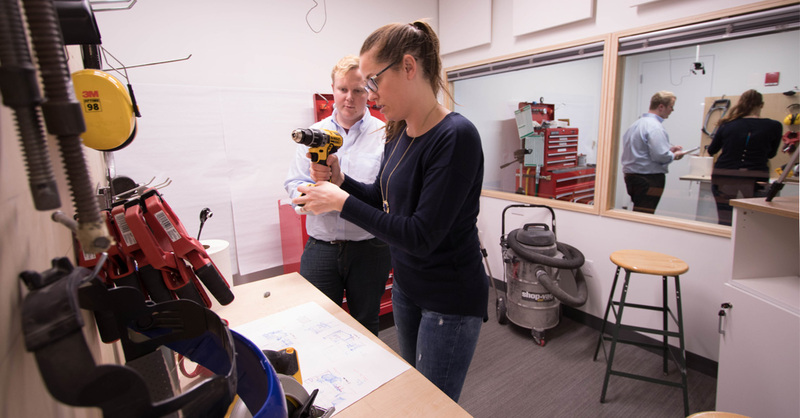 Our ability to set up simulated environments was useful when our interaction design team was looking for “quick and dirty” insights about a coffeemaker they were designing. 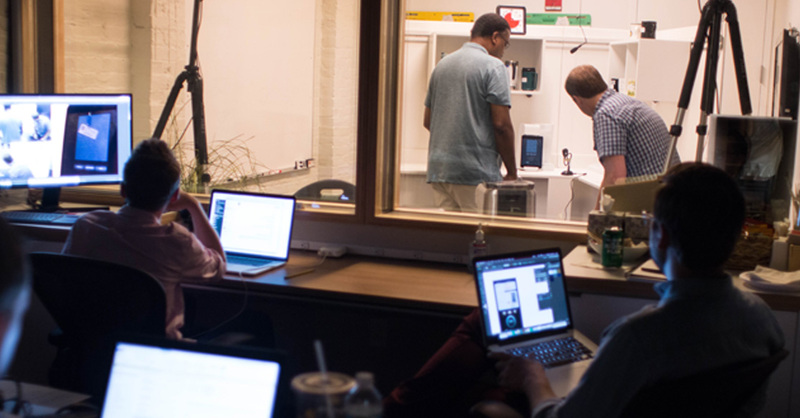 They transformed the usability lab into a kitchen for a few days and brought in a handful of typical users to observe how they responded to their realistic, functioning prototype. 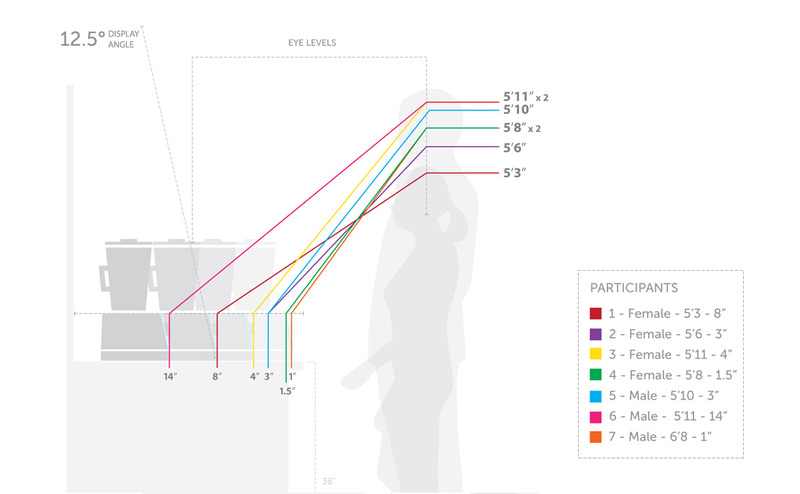 Our interaction designers asked people to access the countertop, shelves, and cabinets in the simulated kitchen to show where their coffeemakers currently live in their own kitchens. How far away is it on the counter, and if this coffeemaker was that far away, could they read the controls and labels? Could they easily remove the water reservoir? The designers were able to assess the interactions during use and the workflow, and to gauge factors including font, size, color, brightness, and distance. Our interaction design team did a similar, “quick and dirty” study with a prototype for a blender, running participants through four or five button layout and design options. That device had a small screen, and they wanted to be sure people could read it from the desired distances. Our environments skew toward residential and medical because many of the devices we work on are intended for these markets. With medical devices, representative environments are useful later in the design process when you’re seeking to assess how the actual product will be used in the actual use environment. The FDA requires that Human Factors Validation studies be conducted in representative use environments. This is because the FDA requires that Human Factors Validation studies be conducted in representative use environments, since the environment can negatively impact use of the product. The goal is to ensure that the device being designed has either eliminated or reduced to the extent possible any use errors that may occur during use of the device. While big companies that manufacture products for targeted audiences tend to have their own environments set up in-house, our lab is a great alternative for clients who don’t have their own facilities. It also comes in handy for us when we’re puzzling over a design detail and wishing for some quick, high-quality user feedback.